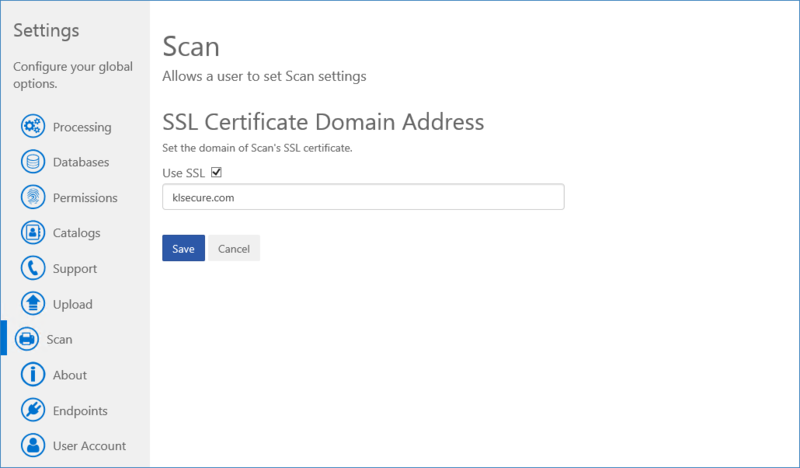 On the Configuration app’s Scan page, you can configure the SSL certificate domain that the Desktop Client will use to connect to the Scan app. NOTE: This configuration is only necessary if you have configured the Scan app to use the Secure Sockets Layer (SSL) protocol. For more information about SSL configuration, refer to the SSL Configuration Article.